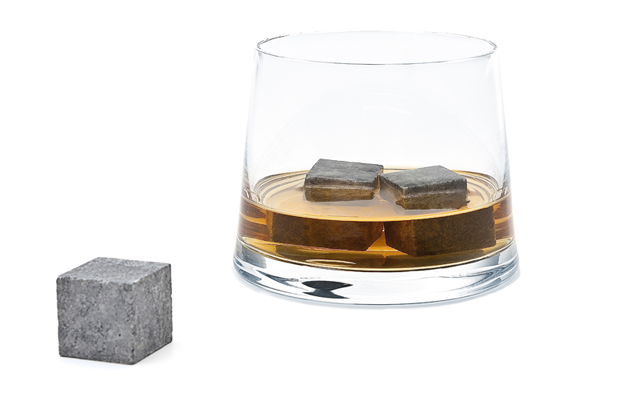 If you want to sip your Scotch like Don Draper—but don’t want to let the ice dilute your 50 year-old single malt—we’ve got the solution: Whiskey Stones (Amazon, $20). It’s really quite simple, since stones don’t melt, you get all the benefits of the chill of ice without adding a drop of water to your drink. Made from Vermont Soapstone and designed by Teroforma, there’s no longer any shame in asking for your whiskey on the rocks. Cheers. Everyone knows they should exercise – in fact, some don’t even need to but want to track their activity anyways. Meet FitBit. FitBit completely stays out of your life by being as unobtrusive as possible – just a little bit bigger than a stick of gum. Powered by the same tools found in your Wii Remote and with an amazingly beautiful set of data visualizations to check-in on your activity online, FitBit is a steal for $99. Coffee tables tend to either be bland or eccentric, it’s a bit hard to find a good one with a balance of the two. We’re in love with the Bradshaw Coffee Table from Room and Board. Unfortunately it’s escaped our grasp a few times at the outlet store, but one day we’ll nab it for that reduced price. Until then we’ll stare at this 42″ diameter with longing. A solid feeling table available in maple, cherry, or walnut, you can pick one up new for $899 or keep your eye open for it at your local Room and Board Outlet. It’s a rare thing to find pet accessories that look good. It’s rarer still when you’re in the market for an animal toilet. The ModKat Litterbox fits the bill on both counts, and has a reusable liner to boot. The box is a 15″ cube with a rooftop access for your feline friend—which reduces litter spills around typical litter boxes. Available in a variety of colors for $185. Designed by Patrick Morris, the Boskke Sky Planter is definitely a head turner. Its unique style isn’t just for aesthetics, its functional as well. The self-watering pot reduces the frequency with which you’ll need to water your plants. To boot, your plants will need less water than before: the water goes straight to the roots! The pot measures 5 1/2″ high by 4″ diameter. Unfortunately, the pots are not available just yet, but should be soon. The new Airia Desk and Media Cabinet by Herman Miller beautifully blends walnut and creme with striking lines. The desk seamlessly blends that midcentury-modern look with the actual modernity of our time, making it a perfect fit in either style of home. The matching media cabinet provides a great place to stash your routers, printers, books, and more. Available for the low low price of $2200 from Amazon or a Herman Miller location. You knew we’d feature something from our favorite low-pricing Swedish friends eventually, right? IKEA’s Fado lamp has just the right mix of spaceship-modern-contemporary-something-or-other that just can’t be beat at only $15. It’s a simple glass light, but that’s what we love about it. Place it on the floor in a corner to make your room feel larger or on a table like a regular lamp. Grab a dimmer for some mood lighting, or buy twenty for your next indie-alien-spaceship flick. These wonderful drop caps, designed by illustrator extraordinaire Jessica Hische, are printed on 8″ by 8″ sheets of archival paper and individually signed by the artist. Inspired by Jessica’s personal project, Daily Drop Cap, each print is available for purchase at her website for the modest price of $30.